We all know what it feels like dreaming of a cup of Joe when we can’t get hold of one. It’s torture. Especially when you know that you won’t be able to nip out to get some for another couple of hours. Sometimes, even worse than dreaming of coffee, is knowing you can’t offer it to someone else. When your in-laws — who love speciality coffee — come for a surprise visit and all you have at home is instant coffee, you want to sink through hole in the ground. Particularly, as you know they’ll be sure to make snide remarks about your taste in coffee at family gatherings for years to come. And horror of all horrors: you run out of coffee in the office on a day when your boss is in a bad mood! Not to fret. The days of longing for a cup of java are over. 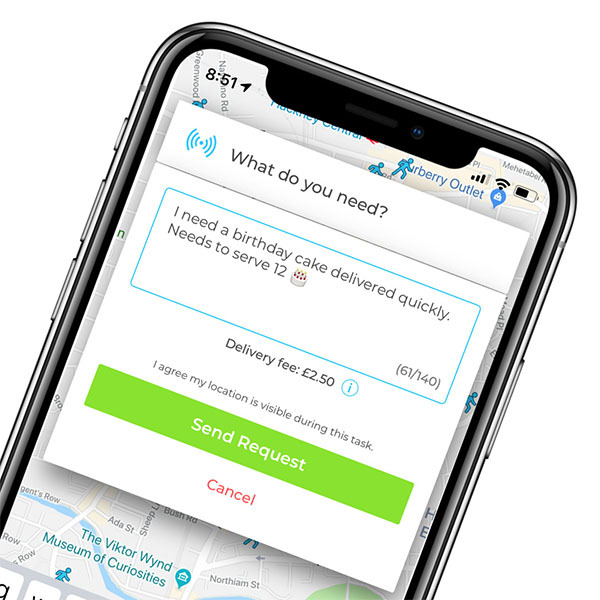 Thanks to Pinga, you can have a cup of take-away coffee, speciality beans, or whatever other kind of coffee you desire, delivered to your door in a matter of minutes. Think of Pinga as your new helpful neighbour, the one you run to when you’re out of sugar. Only you don’t have to do any running — all you have to do is put a request out. Your local Pinga partners will receive it and if they’re nearby, pop round with whatever you need. The good news? Someone’s always nearby. Even if you feel like a nice, fresh cup of coffee, at four am when your baby is teething, someone will be around to deliver it. There is simply no need to suffer from caffeine deprivation anymore, or wait in line at Starbucks. Instead, have your coffee delivered at home, or in the office. Definitively saves you from running out into the pouring rain just before a big meeting. Nothing quite like trying to explain to your boss that your caffeine addiction got the better of you and that’s why you’re soaked from top to bottom and less than presentable (but let’s face it: if you hadn’t had the coffee, you’d have been even less presentable). As there is no minimum spend, you can order as much, or as little coffee as you like. And if you’re in need of a coffee because something just went wrong, then do not fret — whether you need a hand to jumpstart your car, or borrow someone’s Mac charger, there will be someone around to help you out, while also delivering the coffee. Pinga is easy to use. All you have to do is download the app and send a request for what it is you need. Our team of Pinga Partners will deliver any Coffee to your door. Download the app, request your order and get it delivered in minutes.